For commercial and residential applications. Use on interior or exterior cementitious substrates in commercial and institutional applications. Designed for spraying, brushed or rolled. If spraying by airless, use a .031-.035 tip. Care must be taken to ensure that large voids are filled during spray application. Back rolling is recommended for a more uniform fill. Do not apply when surface or ambient temperature is less than 10 °C (50 °F). Block Filler may be thinned sparingly with clean water if required for spraying. Mix thoroughly with slow-speed power drill. Apply by hopper gun or airless gun with air atomizing texturing attachment. 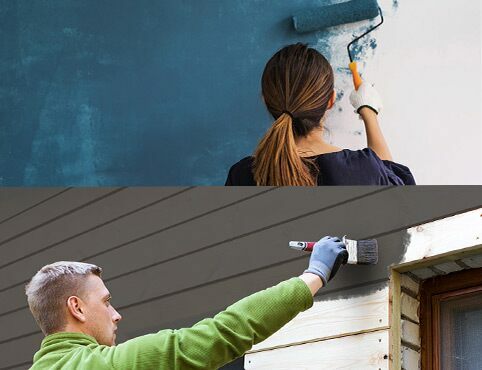 Apply base coat by airless spray, reduced with up to 473 ml of water per 3.79 L at 8 mils wet. Allow to dry for 4 to 6 hours. 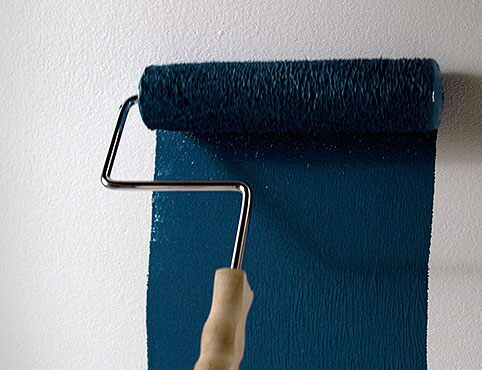 Apply spatter coat to desired pattern, then knock down using a 30.5 cm or 61 cm flexible blade. Normal working time is 10 to 20 minutes. Do not apply when the surface or air temperatures are below 10 °C (50 °F). This fast dry interior latex is designed to provide superior hiding and allow for minimal surface preparation. 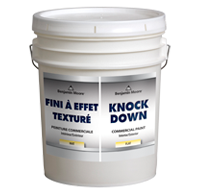 The dry fall qualities of this product cause the overspray to settle as a dry powder in approximately 3 m of fall. 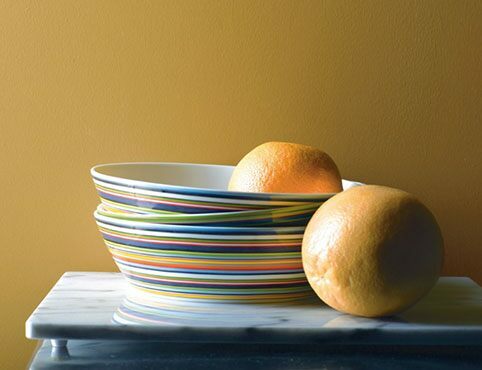 Can be tinted with up to 60 ml per 3.79 L of Benjamin Moore Gennex® colorants. 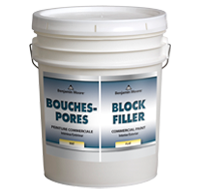 This product is best applied with airless spray equipment. Mix product thoroughly stirring before use. For best results, test dry fall distance and follow surface preparation instructions prior to applying product. Changes in application equipment, pressures and/or tip sizes may be required as a result of changes in ambient temperatures or conditions. Dry fall characteristics are dependent on the degree of air movement and will be adversely affected at temperatures below 21 °C (70 °F) and relative humidity greater than 50%. 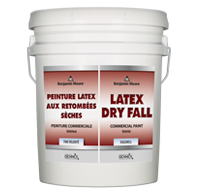 Reduction will adversely affect the dry fall characteristics of the product. Overspray may adhere to hot surfaces; protection of some equipment may be required.